Had them in 63. Blokes before had them, try 60? I was issued them in 64. I remember on Royalist in 65 that all the sparkers except for the Chief (Spotty Crighton) had plastic sandals. Spotty had the old leather ones. I was unsuccessful several years ago in trying to get flat feet recognised by VANZ as a result of wearing “plakkies”. I think that it was in 1957. On Royalist on the FES (1957/8) we had several RNers coming on board wanting to buy the plastic sandals. could of been prior to then not 100% sure. 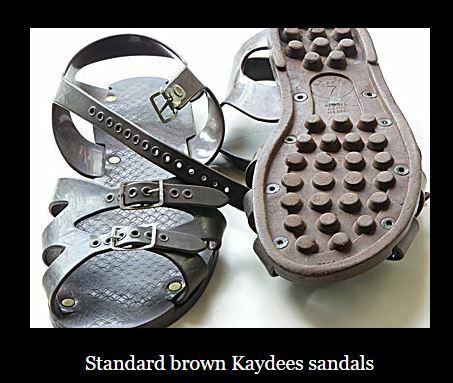 on asking vanz about these sandals(at a general meeting a couple of years aga) and did they have many people making claims on ankles, feet , lower leg problems etc, I was told that in general none..asked as to why I was asking I said they were the most dangerous piece of footwear that was ever made. what with no instep , plastic, your feet continually sweaty, prone to slip off your feet, very unstable in hot sticky weather if your ship was continually rolling and so on and so on. I would have thought that there would have been hundreds of claims, as I don’t know how many times I rolled my ankles over the years.. Most people took their sandals off Gunth before lying down ..no wonder you got sweaty feet! I remember back in 1976 at Esquimalt Naval Base BC on ZMCR issuing Squirt on the flight deck, snowing at the time. There were a few RCN “Guests” onboard for drinkies cracking up about the JR’s in No.8’s wearing plastic sandals in that weather. Leather sandals were introduced as an item of kit on 29 August 1957 by Navy Order. I am going through all the NZNO’s on a research project and haven’t got to placcy sandals yet. ahhh well…..as a Rocky on my first sea time which was a Aussie cruise, I got my first pair with all the junk we were given in, I think, 1954 – late November/early December – was flash gear in those days – bloody dangerous if the truth be known as I tossed mine over the side when we were at 60S on the Kaniere. Seem to remember wearing them in 54 at Irirangi. Don’t think they were “issue” but could be bought from slops. I wholeheartedly agree Gunther’s comments. Plastic sandals in a word were, garbage! “placky sandals” they certainly wern’t around in the fifties from memory- maybe early sixties – who the hell cares! they were a bloody hazard I reckon. Is there not a reputable jack dusty in our midst who should know the answer? if u wanted toe jam wear plastics.